Hand-operated radio PMR Midland XT10 is the lower class of radios from the German brand Midland. Operation without charges and special permits, ease of use and range up to 4 kilometres. Stations are sold in pairs. 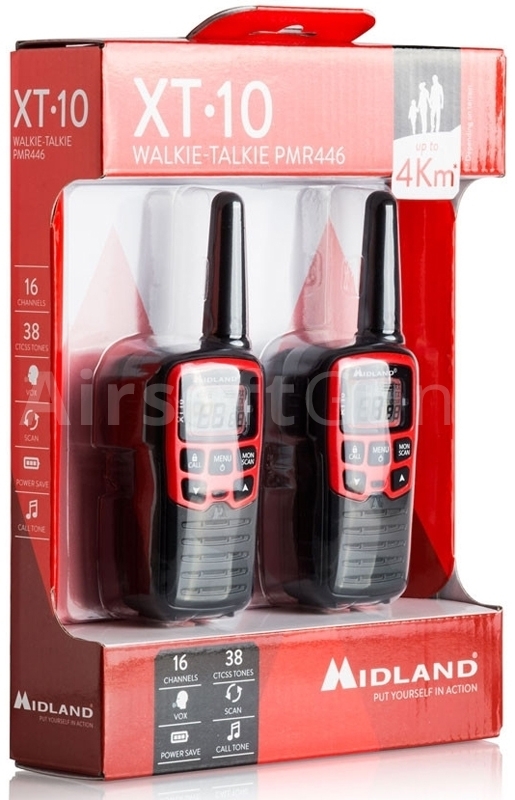 By purchasing this product you earned 40 Reward Points. 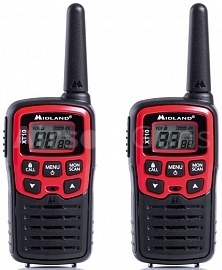 Hand-operated radio PMR Midland XT10 is the lower class of radios from the German brand Midland. Operation without charges and special permits, ease of use and range up to 4 kilometres. 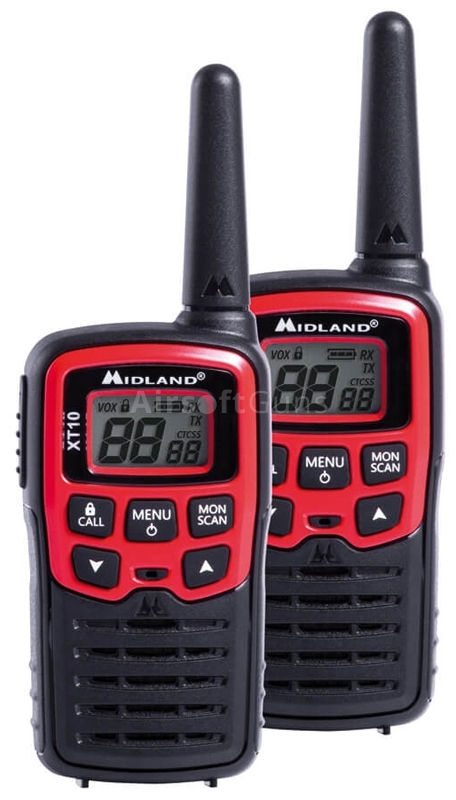 XT10 has a built-in selective choice CTCSS (8 PMR and 8 preprogrammed voice channels + 38 CTCSS), Roger beep (concompanyation tone), lock button, battery condition, POWER SAFE, scanning channels and the ability to broadcast voice switching (VOX). 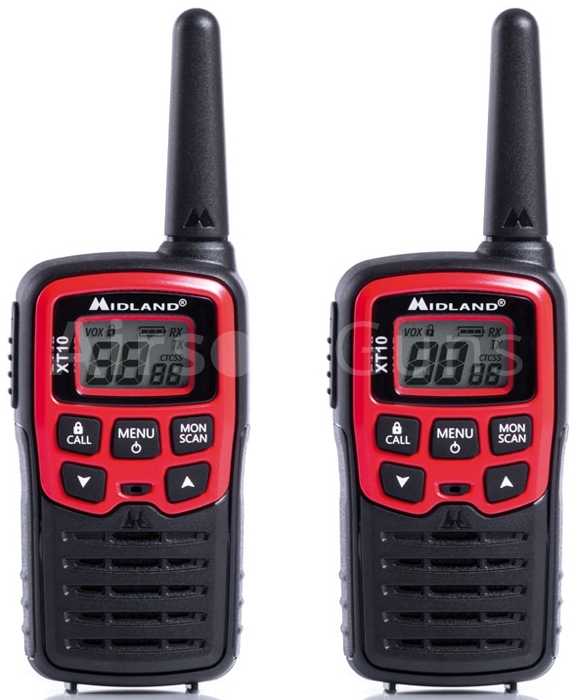 As a power for one PMR are using 3 AAA bateries (not included). The package includes two clips to your belt.